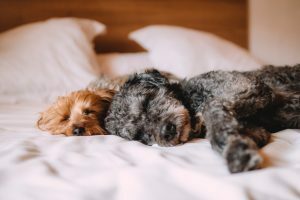 Whether you have a trusty ol’ pup that has been by your side for years, or you are preparing to bring home a new puppy, you know that dogs require a lot of attention—nay, dogs deserve a lot of attention! At Freedom Dog Fence, we understand that your dog is more than just a pet, your dog is family. We believe dogs deserve the freedom to roam in a safe space that will keep the whole family happy and secure—this is why we are proud to offer our customers the best electric dog fencing solutions in the Raleigh area. 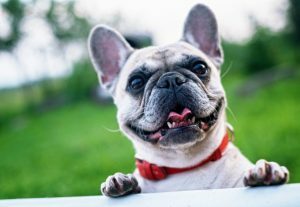 No longer will your dog be confined to a too-small area and no longer will you have to install big, clunky wooden or chain link fences. Both you and your pup will be pleased with the newfound independence. 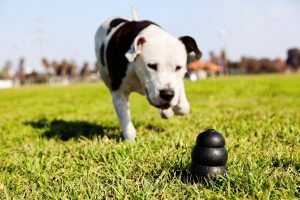 If you have already contacted us to have your underground electric dog fence installed (or you are currently dialing as we speak), it’s time to start compiling a list of fun games to introduce to your pup, now that you have a much open and spacious area to play. 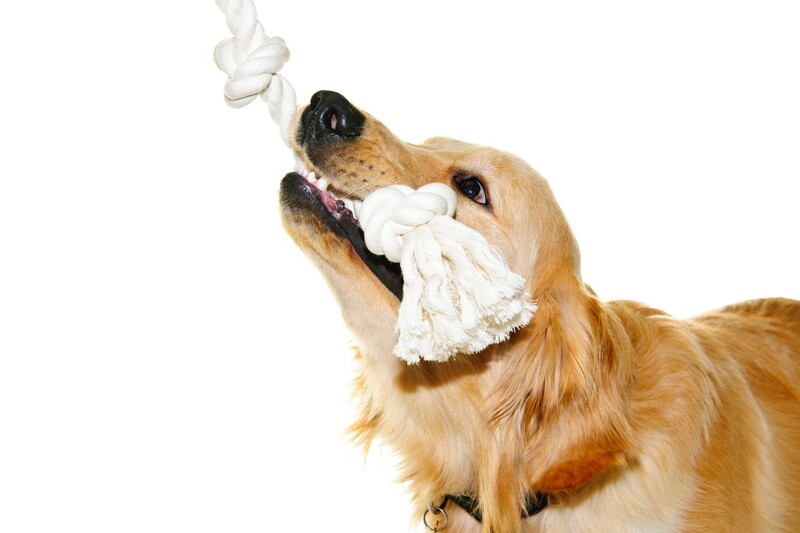 While you may be familiar with classic dog games like tug-of-war and fetch, there are many other creative activities you can play with your dog. 1. Bubbles—they’re fun for your pup too! There’s nothing more fun than busting out a huge bottle of bubbles with different wands and hoops to entertain the kiddos on a summer day. While you are all out in the backyard, blow a batch of (pet-safe, non-toxic) bubbles at your pup and watch her chase them around the yard. This is a fun game for your dog because they are able to practice predatory behavior while still being entertained and intrigued by the fun, floating orbs. 2. Puppy pools—like kiddy pools but for your fur baby! We’re in the middle of summer, and it’s hot out! Just like humans, dogs get tired and toasty after a long day playing in the sun. Fill a shallow plastic pool with cool water, and toss in a few of your pup’s favorite toys or treats to encourage some splashing around. This is a fast and easy way to entertain your dog while helping them stay cool and hydrated during your day of fun. For an extra dose of cold, turn on the hose in your backyard and spray it in the air or at your dog. Your pup will love the cool shower and will start biting at the water with joy. Or, if you have a sprinkler, set it up in the backyard and let your dog run back and forth through the cold water. 3. Hide and seek—get the whole family involved! If you have a well-trained dog, hide-and-seek is a fun and stimulating game for you to play with your dog. If you are preparing to bring a puppy home, you may want to save this game until the puppy is properly trained. To play, have your dog “sit and stay,” facing your home or away from wherever you are going to hide. After you are well hidden, call your pup’s name and encourage her to find you. For an extra twist, include the whole family and have each person praise her with a treat when she finds you. 4. Agility course—make your own outdoor obstacles! There is nothing that tires out a dog faster than an agility course! You can create an at-home agility course in your own backyard using everyday items like broom handles, tables, blankets, old boxes, hula hoops are more. A basic canine agility course consists of jumps, tunnels, teeter, weave poles and a pause table. Get creative and have the whole family come up with a different obstacle, or reference a helpful resource like this one to create a course that follows a more “professional” agility layout. 5. Frisbee—it takes a lot more skill than catching a ball! Playing fetch with a tennis ball involves throwing a ball that your dog chases down and brings back to you. If you want your dog to catch the ball mid-air, chomping down on a soft, spherical object is much easier than catching a plastic, flying disk. Catching a Frisbee requires a lot of agility and concentration on the part of your dog. Your dog may immediately know what to do the first time you toss the Frisbee, while other pups may be confused with how to maneuver the new toy. If your dog is timid and unsure the first go-round, try rolling the Frisbee on the ground or holding it over her head to show her how to grab it in her mouth. After she seems to be getting the hang of it, toss the Frisbee higher and further until the game is seamless and your pup is happy. There are, of course, infinitely more games that you can play with your pup, but these are just a few of the fun ones we found for you. At Freedom Dog Fence, your family’s happiness is our priority, and there are few things we love more than seeing you and your pup enjoy your safe, spacious play area that is free of physical boundaries. To learn more about the products and services we offer, give us a call today to claim your free quote. We look forward to adding you to our Freedom Dog Fence family!